SEVASTOPOL, March 18. /TASS/. 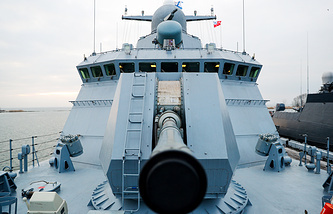 Russia’s Black Sea Fleet is set to get 13 various ships and vessels in 2019, which will boost the share of its modern weaponry to 70% by the end of the year, Fleet Commander Vice-Admiral Alexander Moiseyev said on Monday. "As part of renewing the ships’ structure alone, we expect to get 13 combat ships, boats and vessels [in 2019]. We continue receiving small missile ships with the most advanced Kalibr missile systems as their basic armament and continue receiving patrol ships. This year, we will get the most advanced sea-going minesweeper… Based on all the components, (warships, aircraft and the armament of land and coastal defense troops), the renewal will reach 70% by 2020," the Fleet commander said. 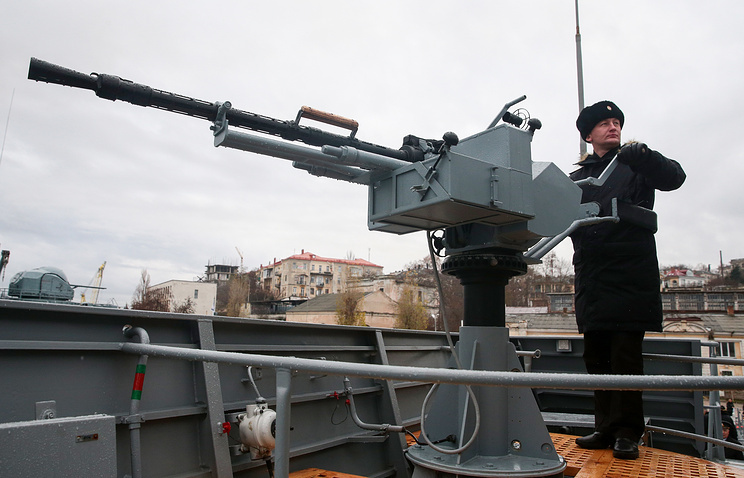 The Russian Black Sea fleet has changed radically over the past five years, the commander said. It was earlier reported that the modernization of the Black Sea Fleet was launched in 2014, the year of the reunification of Crimea and Sevastopol with Russia. "This is related to the implementation of state programs on the upgrade of the armed forces and the Navy, in particular, Over these years, we have received new submarines, surface ships, the most advanced coastal defense and air defense missile systems and unique multirole aircraft. All these major components: the sea, the air and the land have the most advanced weapon systems and military hardware," the Fleet commander said. Festive events have been underway in Crimea and Sevastopol over the past few days to mark their reunification with Russia. The Republic of Crimea and Sevastopol, a city with a special status on the Crimean Peninsula, where most residents are Russians, refused to recognize the legitimacy of the authorities in Kiev who seized power amid riots that sparked a coup in Ukraine in February 2014. Crimea and Sevastopol adopted declarations of independence on March 11, 2014. They held a referendum on March 16, 2014, in which 96.77% of Crimeans and 95.6% of Sevastopol voters chose to secede from Ukraine and join Russia. The Russian president signed the reunification deals on March 18, 2014. Despite the convincing results of the referendum, Kiev refused to recognize Crimea as part of Russia.